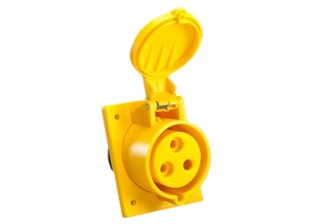 PIN & SLEEVE RECEPTACLE OUTLET, IEC 60309 RECEPTACLE, (4h), 20 AMPERE-120 VOLT, WATERTIGHT (IP67), 2 POLE-3 WIRE GROUNDING (2P+E), CEE17, IEC309, NYLON (POLYAMIDE BODY), OPERATING TEMP. -25°C +80°C. YELLOW. 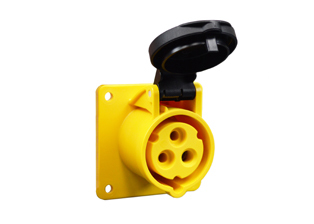 Description: IEC 60309 PIN & SLEEVE PANEL MOUNT RECEPTACLE OUTLET, (4h), 20 AMPERE-120 VOLT, WATERTIGHT (IP67), 2 POLE-3 WIRE GROUNDING (2P+E), CEE17, IEC309, NYLON (POLYAMIDE BODY), OPERATING TEMP. -25°C +80°C. 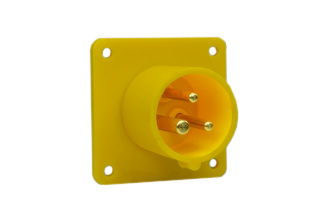 60mmX60mm C To C MOUNTING. YELLOW. 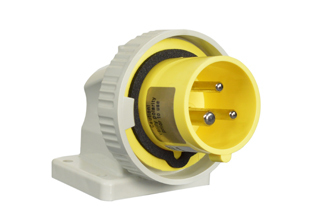 IEC 60309 PIN & SLEEVE PANEL MOUNT ANGLED RECEPTACLE OUTLET, (4h), 20A-120V (2P+E), WATERTIGHT (IP67). 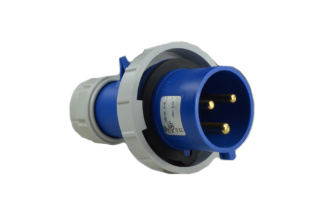 60mmX73mm C To C MOUNTING. YELLOW. 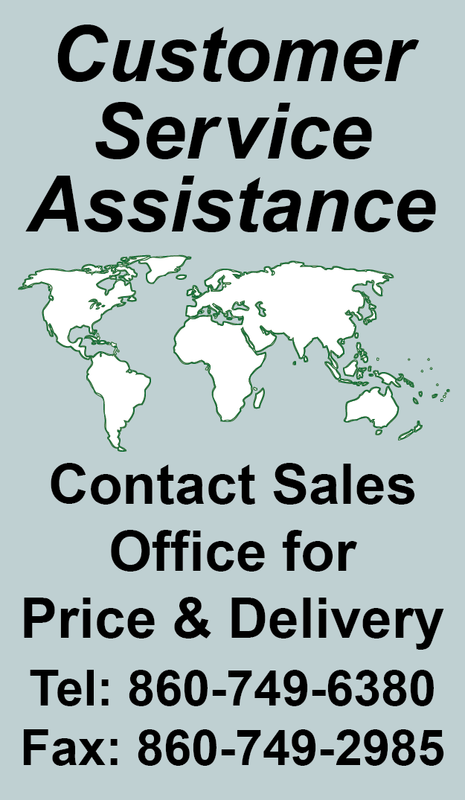 UL, CSA, APPROVALS. 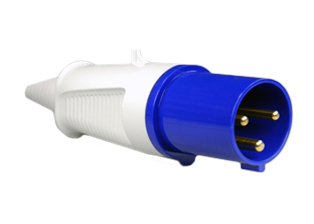 PIN AND SLEEVE IEC 60309 BROCHURE. IEC 60309 PIN & SLEEVE SURFACE MOUNT RECEPTACLE OUTLET WITH BOX, (4h), 20A-120V (2P+E), WATERTIGHT (IP67). YELLOW. UL, CSA, APPROVALS. PIN AND SLEEVE IEC 60309 BROCHURE. 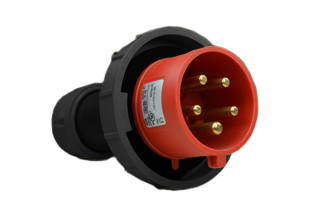 IEC 60309 PIN & SLEEVE CONNECTOR, (4h), 20A-120V (2P+E), WATERTIGHT (IP67). YELLOW. UL, CSA, APPROVALS. PIN AND SLEEVE IEC 60309 BROCHURE. 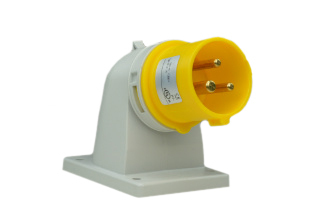 IEC 60309 PIN & SLEEVE PANEL MOUNT POWER INLET, (4h), 20A-120V (2P+E), WATERTIGHT (IP67). 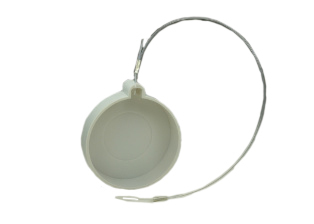 61mmX53mm C To C MOUNTING. YELLOW. UL, CSA, APPROVALS. PIN AND SLEEVE IEC 60309 BROCHURE. 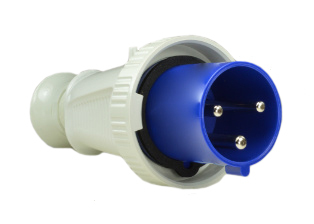 PIN & SLEEVE WATERTIGHT (IP67) CLOSURE COVER, FOR WATERTIGHT (IP67) IEC 60309 (2P+E) PLUGS & INLETS RATED 16/20 AMPERE. 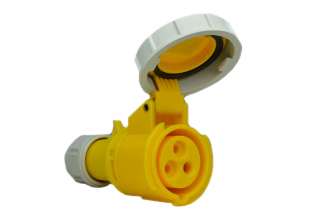 IEC 60309 PIN & SLEEVE CONNECTOR, (4h), 20A-120V (2P+E), SPLASH PROOF (IP44). YELLOW. UL, CSA, APPROVALS. 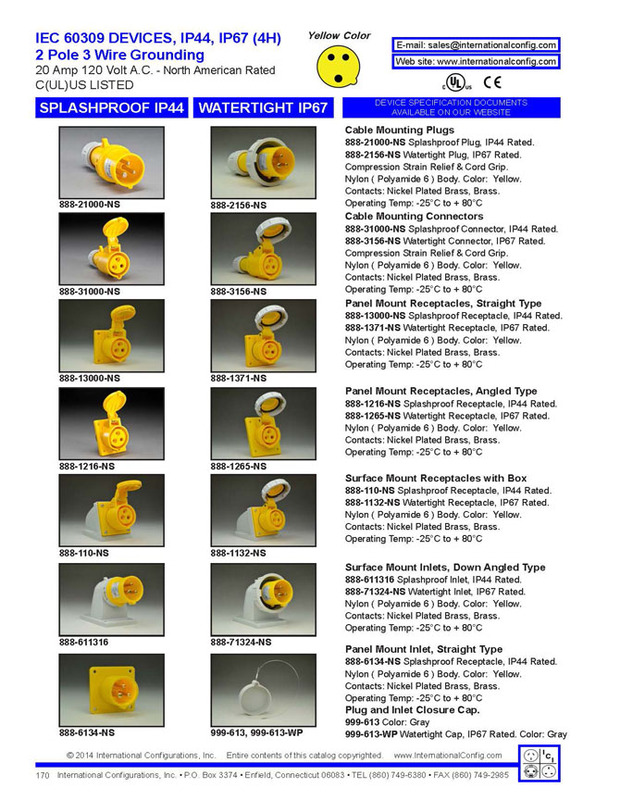 PIN AND SLEEVE IEC 60309 BROCHURE. 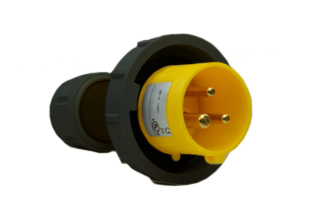 IEC 60309 (4H) PIN & SLEEVE SURFACE MOUNT RECEPTACLE OUTLET AND WALL BOX, 20A-120V (2P+E), SPLASH PROOF (IP44). YELLOW. UL, CSA, APPROVALS. 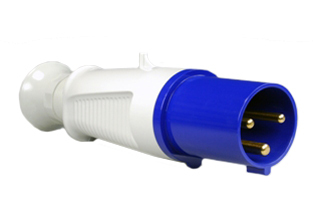 PIN AND SLEEVE IEC 60309 BROCHURE. 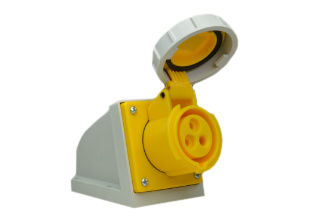 IEC 60309 (4H) PIN & SLEEVE PANEL MOUNT ANGLED RECEPTACLE OUTLET, 20A-120V (2P+E), SPLASH PROOF (IP44), 60mmX73mm C To C MOUNTING. YELLOW. UL, CSA, APPROVALS. PIN AND SLEEVE IEC 60309 BROCHURE. 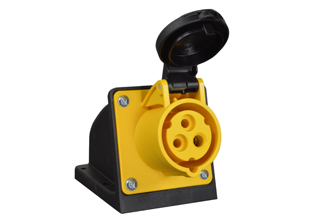 IEC 60309 (4H) PIN & SLEEVE PANEL MOUNT RECEPTACLE OUTLET, 20A-120V (2P+E), SPLASH PROOF (IP44), 60mmX60mm C To C MOUNTING. YELLOW. UL, CSA, APPROVALS. PIN AND SLEEVE IEC 60309 BROCHURE. 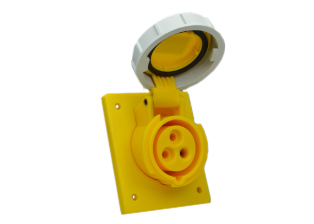 IEC 60309 (4h) PIN & SLEEVE PANEL MOUNT FLANGED INLET, 20A-120V (2P+E), SPLASH PROOF (IP44). 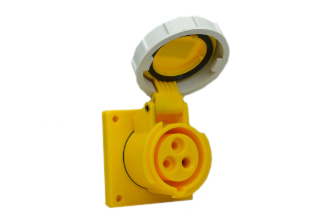 56mmX56mm C To C MOUNTING. YELLOW. UL, CSA, APPROVALS. PIN AND SLEEVE IEC 60309 BROCHURE. 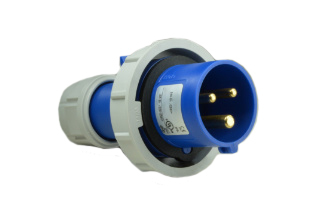 IEC 60309 PIN & SLEEVE ANGLED FLANGED POWER INLET, (4h), 20A-120V (2P+E), SPLASH PROOF (IP44). 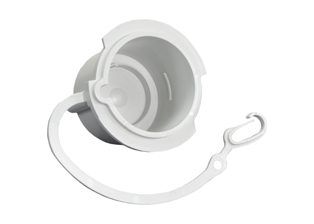 61mmX53mm C To C MOUNTING. YELLOW. UL, CSA, APPROVALS. 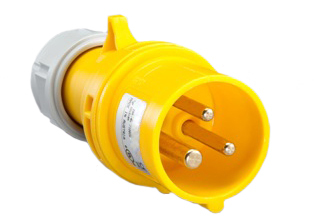 PIN AND SLEEVE IEC 60309 BROCHURE. 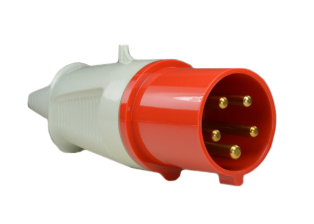 PIN & SLEEVE CLOSURE COVER (DUST CAP) FOR IEC 60309 (2P+E) 16A-20A PLUGS & INLETS. 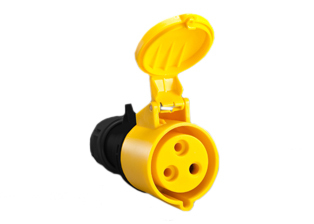 IEC 60309 (4H) 15A-125V DETACHABLE CORD SET, IEC 60309 (IP44) PLUG, IEC 60320 C-13 CONNECTOR, 14/3 AWG, SJTO, 105°C CONDUCTORS, 2.5 METERS (8FT.-2IN.) (98") LONG. 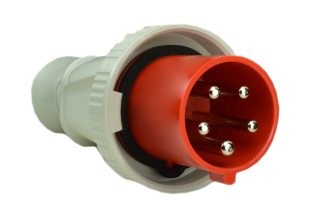 IEC 60309 (4H) 15A-125V POWER SUPPLY CORD, IEC 60309 PLUG (IP44), 14/3 AWG, SJTOW, 105°C CONDUCTORS, STRIPPED ENDS, 3.05 METERS (10 FEET) (120") LONG. 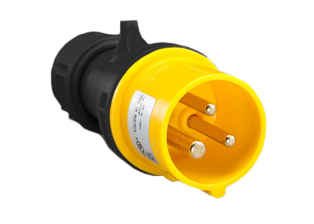 IEC 60309 (4H) 20A-125V DETACHABLE CORD SET, IEC 60309 (IP44) PLUG, IEC 60320 C-19 CONNECTOR, 12/3 AWG, SJTO, 105°C CONDUCTORS, 2.5 METERS (8FT.-2IN.) (98") LONG. 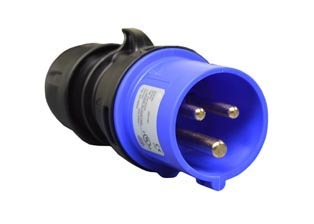 EC 60309 (4H) 20A-125V POWER SUPPLY CORD, IEC 60309 PLUG (IP44), 12/3 AWG, SJTOW, 105°C CONDUCTORS, STRIPPED ENDS, 3.05 METERS (10 FEET) (120") LONG. 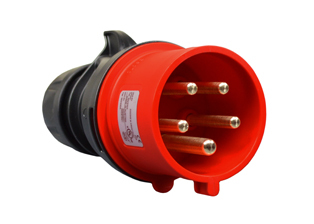 IEC 60309 PIN & SLEEVE PLUG, (4h), 30A-120V (2P+E), WATERTIGHT (IP67). YELLOW. UL, CSA, APPROVALS. 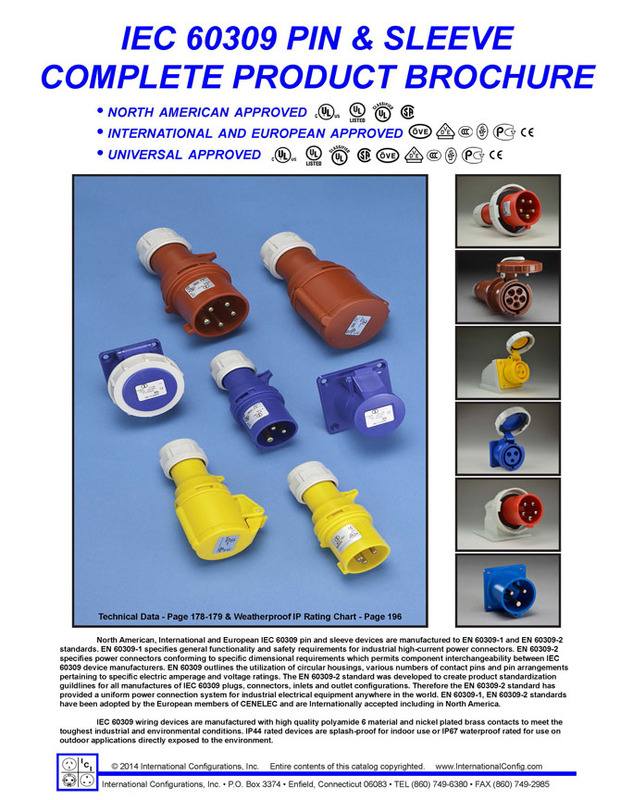 PIN AND SLEEVE IEC 60309 BROCHURE.